One of the great tools of prayer is fasting. But before we go off too quickly and label it as a “tool” or a “key” to answered prayer and holiness, consider the motive behind it. Why do people fast? Why do people abstain from food or drink when they pray. Honestly, many do it only to either be seen by men, or to be thought more highly of by God. Neither are proper motivations for fasting. In today’s church culture there are many who promote various ways and means to health, wealth, and spiritual success. You know the type – they’re constantly begging for you to sow a “seed of faith” into their ministries (or should I say “scams” and “snake oil factories?”). There are even those who promote fasting as a way to becoming more holy (then offer a book in exchange for a gift of any amount above $20). The real problem with all of that is the fact that it preys on the flesh, the sinful tendency to think of “self” more than the will of God. It may help a televangelist get rich when you sow a “seed,” but it won’t bring you closer to God if you are expecting a hundred-fold return on your “investment.” When it’s “all about me,” God is not glorified. Without getting into a long study of the topic of fasting, let’s just say that most fasting is done for the wrong reasons. Look at the rest of the verses in Isaiah 58, for example. It was not that the people were avoiding fasting; they were even abusing themselves. Yet, God was not pleased. He was not interested in their fastings. He wanted their hearts. There are so many ways the church could benefit if we would seek the heart of God, not our own desires. If we sought after God with a pure heart, asking Him to burden us with a desire for the lost and broken, fasting would come naturally. Most examples of fasting in the Bible were not begun with intent, but were the result of brokenness. Most of the time the fast was the result of one’s lack of desire for anything other than hearing from God. How different is that from the modern Christian who gives up a meal or two and expects, in return for their great sacrifice of earthly pleasure, an answer to a selfish prayer? Fasting should never be a means to an end. It should be the natural result of one who can find no pleasure, no solace, no comfort in anything other than a word from the Bread of Life. Anything else borders on an attempt to manipulate the King of Glory into feeling sorry for us. What’s worse, fasting as a means to an end for a request which is intended to be “consumed upon [our] lusts” is no different than self-mutilization or witchcraft. God will not grow a church that seeks to glorify itself or seek its own desires, especially if it attempts to bribe God in the process. 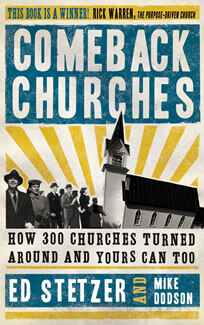 A very revealing study was done, leading to a book detailing how 300 churches went from declining or dying, to growing. In Comeback Churches, written by Ed Stetzer and Mike Dodson, there is a list of 30 different barriers to church growth. Having received permission from the publisher (B&H Publishing Group), I would like to discuss several of these. People think of prayer as being for themselves (Matt. 6:5). Recently I preached from Romans 12:1-3 and verse 12. There is a great need for prayer that is not self-centered, but sacrificial and “other” focused. It should always be considered a great honor to be called upon to lead a congregational prayer. When this happens, what is not needed is a long, drawn-out speech meant to make everyone else think the one praying is practicing for an oral theological exam. However, there are those who use this opportunity to do almost that. How many times have you been in a church service when some “godly” gentleman was asked to give the closing prayer, the result being you fell asleep and hit your head on the pew in front of you? Many times the reason for a prayer like that is simply to make the one praying sound righteous. Is that not what the Pharisee did (Luke 18:11)? His intent was to be heard of men, not God. On the other hand, if the intent is for God to hear, do we think He is going to be impressed with our seminary-level language? More often than not, when somebody goes on and on in a public prayer, God is no more impressed than the people in the audience…nobody is fooled. Fancy words can never hide a faulty character. What I believe is more dangerous than the hypocritical prayer is the prayer that focuses only on one’s personal needs, not the needs of others. The reason these prayers are dangerous is that they cause us to be narrow-minded and self-centered. They are the opposite of sacrificial prayer. Does anyone seriously think that Christians pray as much as they should? And when we do pray, how often do you think we pray for the needs of our neighbors, our friends, or even our enemies before we “name-and-claim” our own desires? My friends, this is a barrier to church growth. The lack of prayer is far more deadly to the church than the few who “stand in the corner of the streets” to be heard. In the first verse of Romans 12 the Apostle Paul begs us to “present [our] bodies” as living sacrifices. “Living sacrifices” don’t care about self, only the glory of the One to whom the sacrifice is made. And when we are transformed by “the renewing of [our] minds,” we have the mind of One who would lay down His own life for the sake of others. When we look further down into this chapter it becomes obvious that we not to think of ourselves as better than others, but to minister to their needs as our own. With that in mind, when we come to verse 12, what kind of prayer should we be continuing in? When we become more like Christ, our prayers become more like His. We don’t know every prayer Jesus prayed, but of the ones we have a record of, how many included requests for better jobs, a better car, a nicer home, better health, etc? 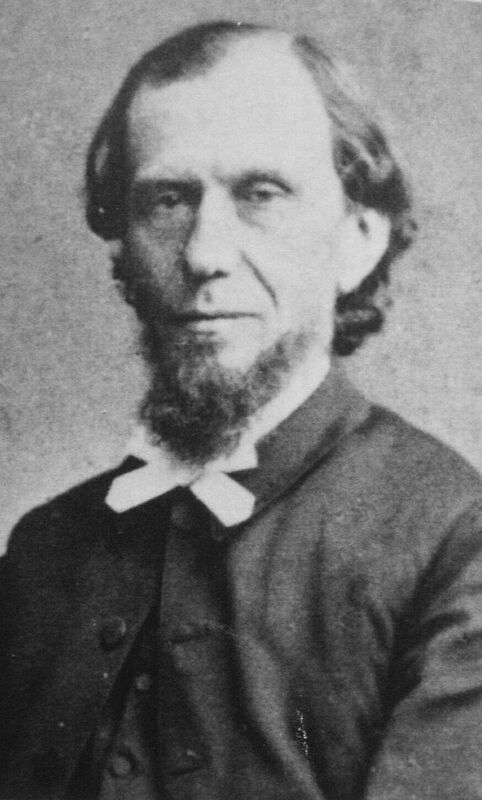 More often than not, He prayed for the Church, for unity, for His Father to receive glory, for His Father’s will to be done. How awesome it would be if we all spent more time on our knees in prayer? How powerful would it be if we sacrificed our time in prayer for self and focused on others within the body? What would happen if we would just spend time praying, not just for our own congregations, but for the Church, the body of Christ? Why do we do good works? Why do we feed the poor, shelter the homeless, tend to the elderly, etc? Do we do these things so that our Father will be glorified, or do we do them in order to get glory for ourselves? Then there are other people who do plenty of good deeds without even acknowledging God. For example, go to any charity ball held by your local “high society” club. There you will find plenty of people who willingly give thousands to worthy causes but smile as big as they can when the magazine photographers come around. Some people do good works in order to be accepted by God. They give away fortunes and spend their lives doing good deeds, but not to be seen by men. They want to be seen by God and thought of as worthy of His love. The only problem is that salvation is “not of works, lest any man should boast.” They work themselves to death in order prove their loyalty, thereby supposedly ensuring a place in heaven. But the glory goes not to God, for attached to the works is an expectation of reward based on merit. All glory should be to God alone. If our works are done in order to receive praise, then God is not getting the glory. If our works are meant to earn credit with God, then God is not getting the glory. If we work ourselves silly to meet the legalistic requirements placed on us by men, then God is not getting the glory. However, if out of a heart of love we do good works without expectation for reward, recognition, or acceptance, then God will receive the glory. Every time we heard a gospel song that had words similar to “hold on to God,” or “hold to His hand,” my parents quickly reminded us that “we don’t hold God’s hand – He holds ours.” Understandably, what my parents were referring to was salvation. In that sense, we are held and He will never let go. But that is not what this verse is talking about. Isaiah is saying that part of the problem his people were facing was the fact that none had the desire, nor even the desire to have a desire, to grab hold of God. If that is true today, then it may not only be a huge barrier to church growth, but to individual growth as well. It is interesting and revealing when we look at this phrase and compare its usage to other places in Scripture. To begin with, the word chazaq (Strong’s H2388) essentially means “to tie fast, to bind bonds strongly” (Gesenius’s Lexicon). It is a verb that is translated into English as words such as strong, retain, urgent, and caught. Here are just a few examples. Moses “caught.” Look at the first verse. Moses had been commanded by God to throw down his rod, after which it became a serpent. Then, against all logic, God told him to pick it up again, but this time by the tail (riiiiigghht!). I would have had to be seriously “stirred up” to pick up a deadly snake by the tail – it BITES! Yet, that’s what Moses did. He “caught it” by the tail. The Egyptians were “urgent.” Next, after suffering under all the plagues, the Egyptians “were urgent” in there pushing the Israelites out of town. They had come to realize that their own lives were in jeopardy if the Jews stayed one day longer. It was imperative that they are pushed out as quickly as possible. Job “still retained.” Now, look at poor Job. He had lost everything dear to him, including his health, and then came his wife telling him to curse God and die. She couldn’t believe that he could just sit there and hold on to his belief that God was worth serving. “After all this, are you still holding on to your integrity? What for? What’s the use? Quit putting yourself through this nonsense and just curse God and die!” Yet, he held on. 1) Taking hold of God is something that we should take seriously, not flippantly. Don’t reach out for Him in a way that implies half-heartedness. Take hold like you mean it! Who do we think God is, a stick to be used by us in our own power to accomplish our own desires? NO! He is alive and dangerous. As Aslan in The Chronicles of Narnia, He is NOT tame. He is not here to be played with. 3) We must hold on to God even when it seems insane to others. We must consider our relationship with our Heavenly Father so precious that even when Hell seems to be winning, faith tells us otherwise. Like Job of old, we should hold on to God even when we lie broken and wasted amid the ashes of seeming defeat. Our Redeemer LIVES! If we are to see growth in our churches, not to mention our own lives, we must seek after God with urgency, intensity, and passion. He must be sought after and adhered to like no other treasure on earth. Anything less betrays our divided, adulterous hearts. God will bless and grow a people who “take hold.” No church will grow who only takes hold of God when it is convenient, fun, or fashionable. We must cleave to Him. It IS a matter of life or death.